Andy Murray received a “get well soon” teddy bear from fellow tennis player Stan Wawrinka but it might leave his kids fighting. 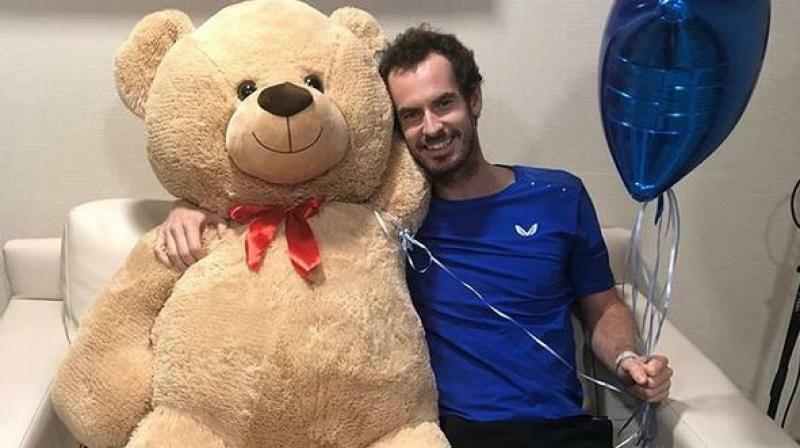 New Delhi: Former world number one Andy Murray, who recently underwent a hip surgery, received a “get well soon” teddy bear from fellow tennis player Stan Wawrinka but it might leave his kids fighting. The 31-year-old, in an Instagram post, thanked Wawrinka for the gesture while adding that the teddy is “absolutely huge” and his kids might fight over it when he gets home from the hospital. “Big thanks to @stanwawrinka85 and @donnavekic for the get well soon teddy bear 😊👍🤛it's absolutely huge😂 my kids will be fighting over this when I get home! #stantheman,” Murray captioned the post. The Briton has had a rough 2018 season as he missed most of the tournaments due to a hip injury. He had undergone surgery in 2018 for the same and had returned to the court, playing 15 tour-level matches. Murray had recently shocked the tennis world after announcing that he would retire this year, most probably after the Wimbledon championship. A teary-eyed Murray had said that he has been struggling with pain for the last 20 months and is still in "a lot of pain". He said that if he could not overcome the pain in the next four or five months, he will go for another surgery- not to get back in the professional zone but for a "better quality of life". After suffering defeat in the first round of the Australian Open, he went on to say that this could be the final tournament of his career. Murray has won a total of three Grand Slam title in his career so far along with 14 ATP Masters 1000 crowns. He had ended his 2016 season with a victory in 24 consecutive matches and finished the year as the world number one player. In 2013, when Murray won his maiden Wimbledon singles title, he became the first British man to win the championship in 77 years since Fred Perry in 1936.